Now that the busy season is officially here, our Merrydale Manor team are really looking forward to a summer of weddings at our bespoke Cheshire wedding venue. Statistics show that most couples choose to say ‘I do’ in the months between May and September because of the expected weather of course! 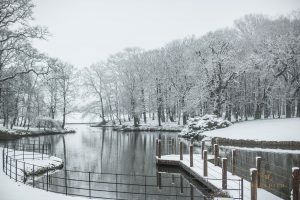 But in reality, you can’t always depend on the British weather and there are some amazing benefits to getting hitched in the cooler months too. We think never underestimate an autumnal or winter wedding! 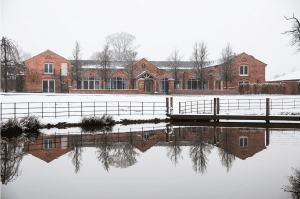 So what is the advantage of a winter wedding at Merrydale Manor? 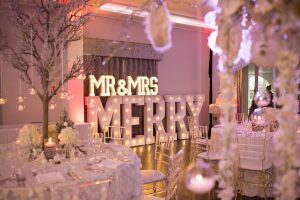 At any time of the year, couples don’t have to worry about spending too much of their budget dressing the venue at Merrydale Manor. The venue has been built and is maintained to such a high standard. 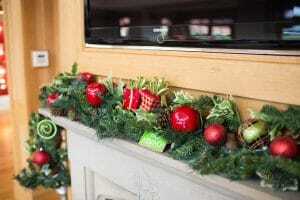 However, during the festive period, the Merrydale team ensure that the venue is dressed with extra decorations and lighting which gives the venue an extra special feel. 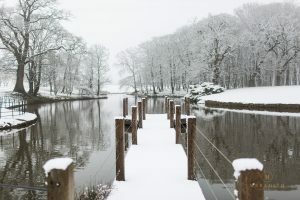 The lake, jetty and Christmas tree which is located in front of the Manor House are particular special features at this time of year. 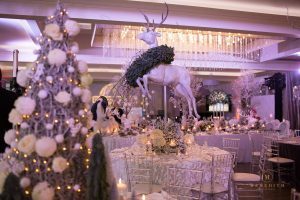 If you happen to tie-the-knot in the snow, or on a cold frosty day, then you are in for a real treat as Merrydale Manor looks truly magical during the winter season. This gives your photographer some fantastic opportunities for truly amazing shots of you and your new husband or wife. 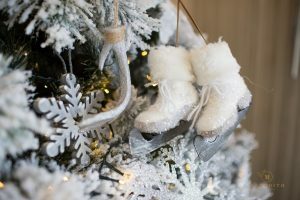 An exclusive winter wonderland just for you! Why not swap the usual cold glass of fizz for a winter replacement such as a warm mulled wine or apple cider for your reception drink. At Merrydale Manor, we have a luxurious bar area located next to the Merrydale suite with comfy chairs and sofas so guests can gather together for a cosy drinks reception. Some of our favourite weddings have even taken place during the rain, as it brings people together inside. 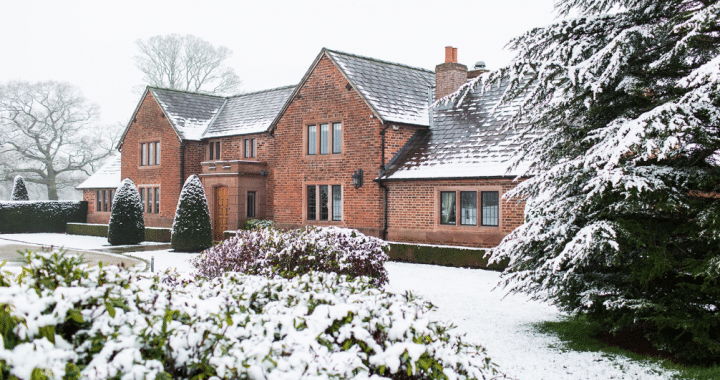 During the off-peak wedding seasons, you can also take advantage of the discounted rates with our winter warmer offer, to find out more about this offer then give our office a call on 01565 724060 or send an email over to [email protected]. You’ll be surprised how much you can save by getting married off-peak. Whenever you choose to get married, we can safely say that at Merrydale Manor we can cater for weddings all year round. Our staff and venue are well equipped to make a couple’s wedding a special day regardless of the weather. 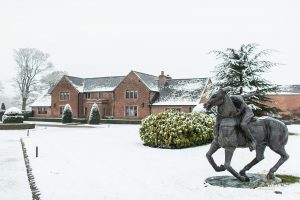 We look forward to hosting your at Merrydale Manor come rain, snow or shine.